Dennis Eugene Sills was born on December 23, 1939 in Ames to Eugene and Lucille (Blakemore) Sills. He graduated from Ames High in 1958 and married Sharon Hermanson on March 17, 1962. Denny worked at the Iowa Depatment of Transportation for 41 years as a draftsman and cartographer in the mapping department. He and Sharon moved to Story City in 1976 and joined St. Petri Lutheran Church. Denny was an avid Iowa State Cyclone and Roland-Story Norseman fan, as well as a Chicago Cub and Bears fan. He did announcing for the Boone Speedway, Ames sports for KASI radio and Roland-Story Football games from 1977 to 1982. Denny enjoyed music, especially Big Band, Classical and movie soundtracks. His enjoyed dressing up for Halloween and being with his family at Christmas time. Denny was the in charge of transportation to the horse shows. His greatest joy was going to his grandchildren’s acativities. 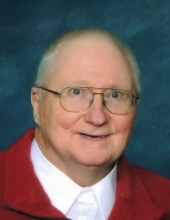 Denny passed away February 1, 2019 at Mercy Medical Center in Des Moines at the age of 79. He is survived by his wife, Sharon of Story City; two sons, Michael (Nancy) Sills of Marshalltown and Craig of Story City; two daughters, Mary (John) Pelican of Story City and Stephanie (Tyler) Strathe of Maxwell; seven grandchildren, Brandon (Melissa) Rivers, Tyler Rivers, Dylan Rivers, Zachary Sills, Megan Sills and Stranton Strathe. Funeral services will be Tuesday February 5, 2019 at 1:30 pm at St. Petri Lutheran Church with burial to follow in the Story City Cemetery. Visitation will be Monday from 5 to 7 at St. Petri Lutheran Church. The family asks that casual attire be worn at the visitation and encourages the wearing of Iowa State attire. In lieu of flowers, memorials may be made to St. Petri Lutheran Church. To send flowers or a remembrance gift to the family of Dennis Eugene Sills, please visit our Tribute Store. "Email Address" would like to share the life celebration of Dennis Eugene Sills. Click on the "link" to go to share a favorite memory or leave a condolence message for the family.